JCW Construction Group has been providing professional home improvement services in Griffin, GA for 15 years. From initial contact to final cleanup, JCW Construction Group provides superior renovation services guaranteed to fit your budget and exceed your home improvement expectations. Your home is your biggest investment. When you're ready to start your home renovation project, call JCW Construction Group, Griffin's leader in home renovation services since 2004. At JCW Construction Group, our goal is to make your dreams come true with quality craftsmanship and attention to every detail of your Griffin renovation project. Improve the quality of your life and add value to your home for years to come. Whether you are searching for a Griffin kitchen or bathroom contractor, or a Griffin contractor to build a deck or patio, JCW Construction Group is the home improvement company Griffin customers call for exceptional renovation services. Boost the value of your Griffin home by updating your bathrooms with state of the art features like a deep soaking tub, radiant heat flooring, or walk in steam shower. Quality kitchen renovations in Griffin by JCW Construction Group. 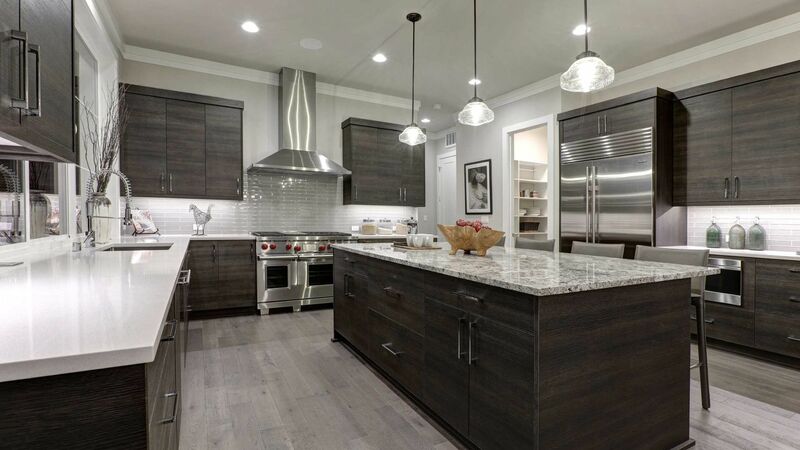 Granite countertops, stainless steel appliances, custom islands, and task lighting can all be yours. JCW Construction Group designs cabinets that reflect your style and that fit your space. We build kitchen and bathroom cabinets, bookshelves, entertainment centers, bars, etc. Call (770) 203-0162 to begin your Griffin home improvement project.